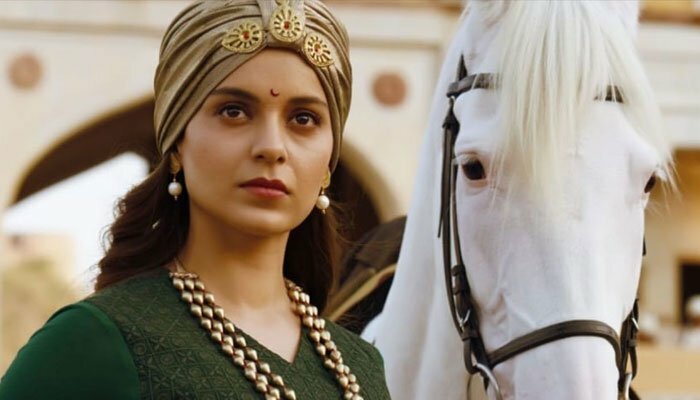 While Kangana Ranaut much like the Queen of Jhansi is known for her rebellious and unyielding nature in the world of Bollywood, she has now revealed that the character came naturally for her during the filming process as well. During the trailer launch in Chennai of her upcoming film Manikarnika, the 31-year-old star shed light on her character in the film and how it became easy for her to relate with it. “Rani Laxmi Bai was known for her rebellious attitude. Was I able to relate to her character? Naturally. As a woman, she had gone through a lot. She got married when she was 15 or so. She was a true patriot who wanted her country to flourish. It’s an honour to be able to pay a tribute to her through our upcoming film Manikarnika.” she stated. Moreover, she went on to express her surprise at how the significant female historical figure has not been paid accolades before in the cinematic universe by saying: “When I signed this film my first thought was ‘How come nobody has done a film on Jhansi ki Rani yet?’ So, I consider it a stroke of luck that I’m doing it."